Hawker Hurricanes fly in formation. It’s estimated that Hurricane pilots were credited with four-fifths of all enemy aircraft destroyed in the Battle of Britain. Yet it was the Hawker Hurricane fighter which did yeoman’s service during the Battle of Britain and shot down substantially more German aircraft than the iconic Spitfire. The Hawker Hurricane was the first fighter monoplane to join the Royal Air Force and the first combat aircraft adopted by that arm capable of exceeding 300 mph in level flight. 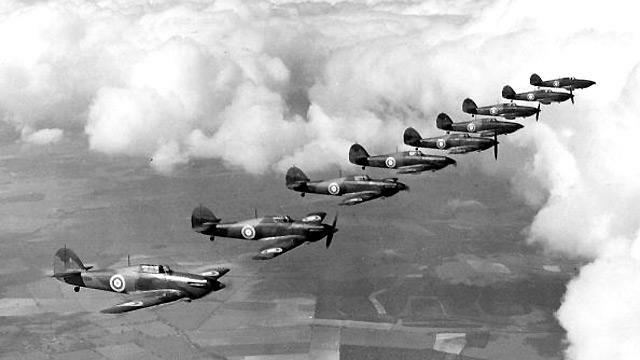 The Hurricane shouldered the lion’s share of Britain’s defense during the ” Battle of Britain”. 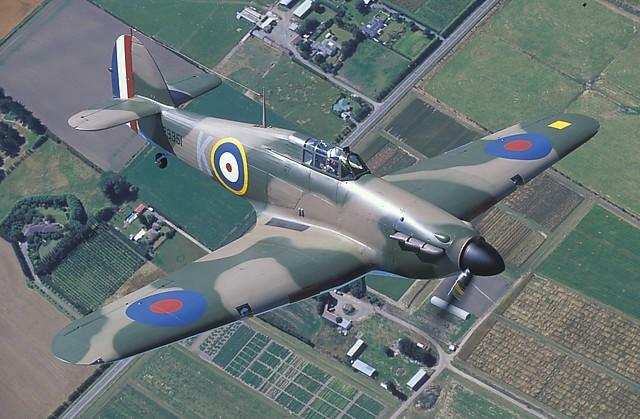 A well-written and detailed article on the Hawker Hurricane can be found on the Aviation History website.